The story opens just after Cable and X-Force have jumped into the future to stop the wave of Sentinels sent by Bastion into the present to exterminate mutantkind. Hope, devastated that Cable has gone on a one-way time-travelling suicide mission, lashes out at Cyclops as everyone on Utopia prepares for the next attack. 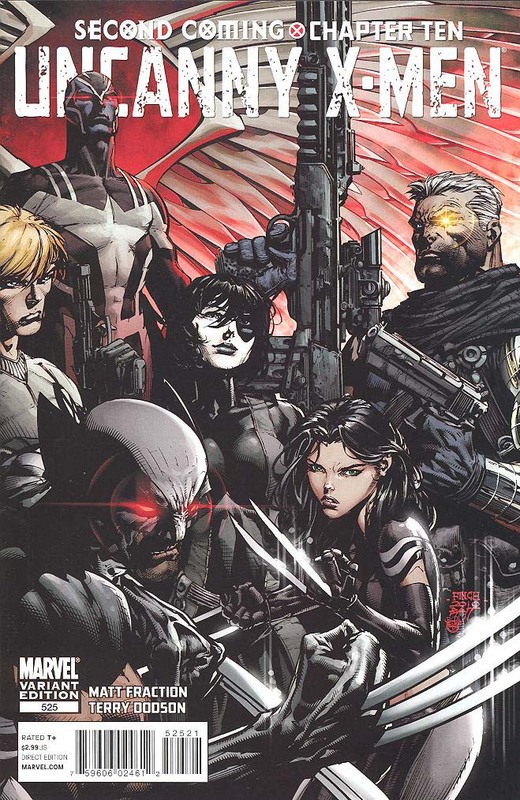 The ensuing battle focuses on Storm, Psylocke, Fantomex, Namor and an apparently recovered Iceman. It makes for an interesting battle showing off some players that haven’t had the spotlight for some time. As the carnage continues, we see the Fantastic Four enter the action help find a way into the sphere surrounding San Francisco. This creates some great face time for Dr. Nemesis. Things close up with Professor X and Rogue taking center stage as Legion and Hope become bigger parts of Cyclops’ plans. The artwork of Terry and Rachel Dodson looks its best in this issue. Justin Ponsor’s colors have a lot to do with this, but there’s thankfully no panel or page I can take exception with. The pages featuring Cable and X-Force in the future stand out to me as particularly well done. There’s a two-page spread that’s an homage to the images of Days of Future Past from Uncanny X-Men #141-142 that just looks great. This book goes a long way to smooth over the bad feelings I had about the previous issue of Uncanny X-Men, and I’d say it’s a solid 4 out of 5. Both covers by Adi Granov and David Finch look great, but I think I prefer the Granov cover this week. It’s great to see Namor front and center on the Granov one, and the Finch one reminds a bit too much of his cover for Chapter ø7. The similarity takes something away from both. So we’ve seen Hope stop a bullet in the pages of Cable, and now she has glowing red eyes that look like Cyclops’. She also touched Rogue as an infant. Is she mimicking powers? absorbing powers? or has she only reveled telekinesis and optic blasts suggesting her parents are Cyclops and Jean Grey? Regardless, things are steamrolling right along to the thrilling conclusion. This book continues to be an unexpected treat. Chris Yost has put together a great group of characters and is really putting them through the wringer. 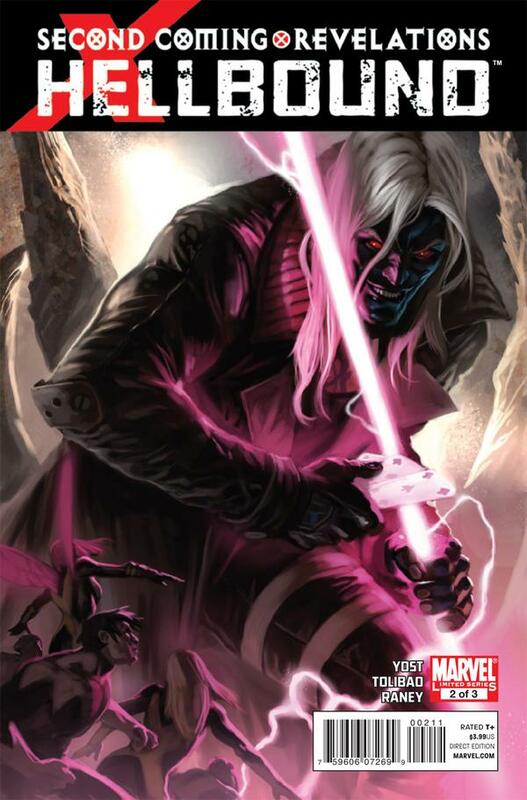 I did not like Gambit’s transformation into Apocalypse’s Horseman Death years ago, and I understand why it was ignored for the most part since. His arrival in limbo is a great way to revisit the story and it throws in yet another element of danger for this team that is already in incredible danger. The machinations of S’ym and N’astirh bring back some fond memories of Inferno as well. The Marko Djurdjevic cover is nice, although I don’t think Gambit actually grows to a gigantic size at any point inside. Harvey Tolibao, Sandu Florea and Jay David Ramos are joined on art chores by Tom Raney and Scott Hanna for this issue, but I’m not really sure how the pages are split up. Either way, the book looks good. I’m really looking forward to seeing how this wraps up.